It’s that MIDlet again. 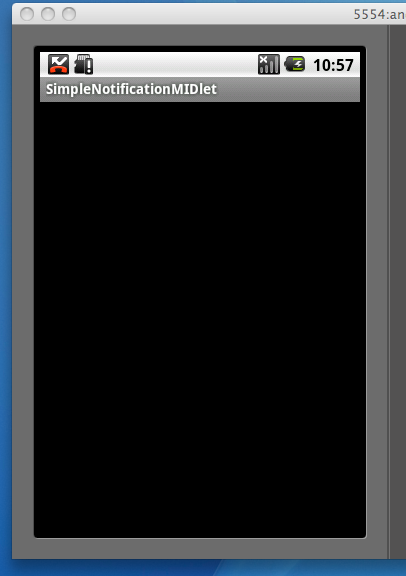 This time running on the Maemo5 emulator. 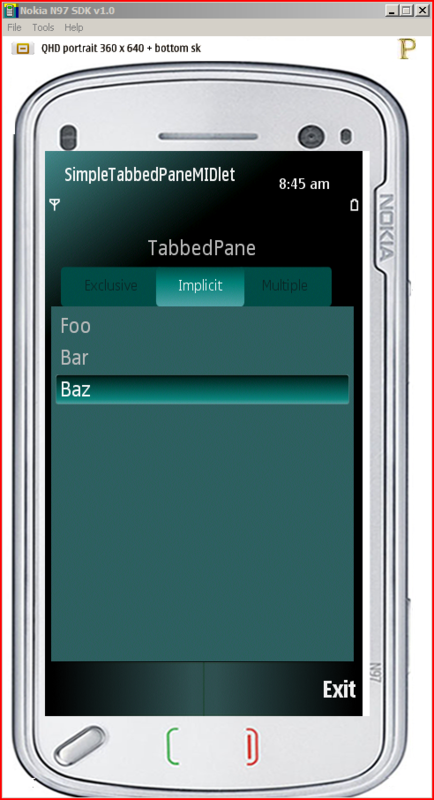 The implementation code is identical to the Symbian version with vanilla Qt being used as the LCDUI back-end. Here’s the Notification immediately after it has been posted. For a couple of seconds it takes over the entire status bar. Here’s the Notification once the status bar re-appears. 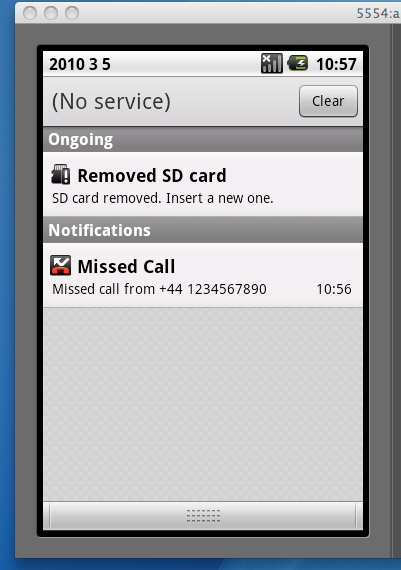 For the misleadingly named Call NotificationType, which is actually the Missed Call NotificationType, I am using the generic Missed Call icon as shipped with Android. And that’s it really. At this point the user can either click on the Notification or ignore it, and a MIDlet can either update the Notification or remove it. If you just sit and wait then eventually this happens. 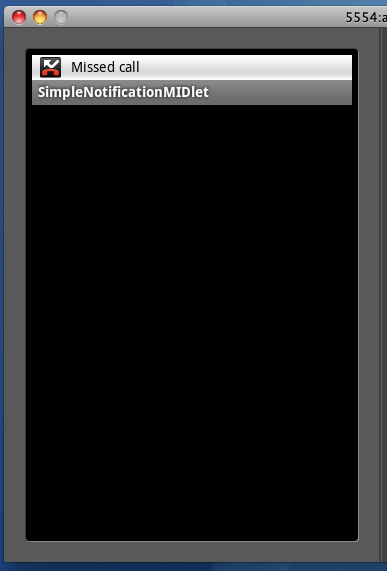 There is no API for doing this in MIDP 3, but the specification does explicitly permit an implementation to group together Notifications of the same type. so in theory a single Android Notification could be used to represent a number of MIDP 3 Notifications, with the number of Notifications being displayed in the icon, as above. 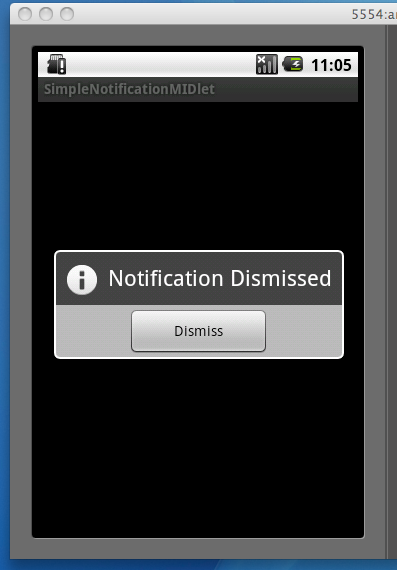 In practice there is no way for the implementation to know the intended semantics of any single MIDP 3 Notification and consequently whether it would be appropriate to group it with other Notifications of ostensibly the same type, or whether doing so is simply going to end-up badly confusing the user. There is also an issue with how to handle the display of a group of MIDP 3 Notifications in the expanded view of a single Android Notification. 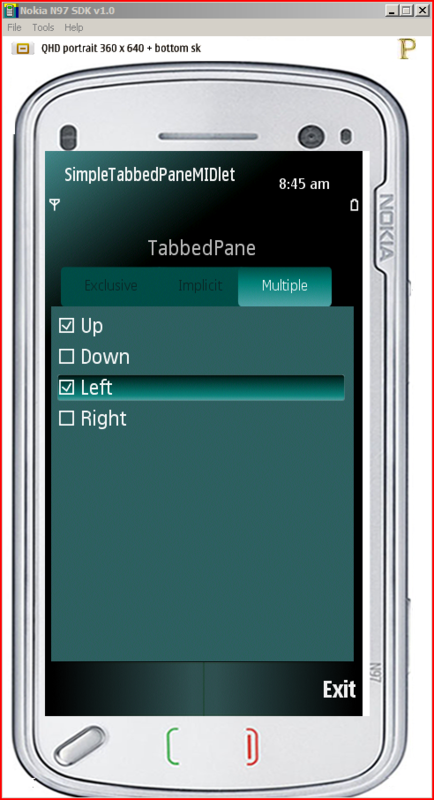 Although the view is customizable this is done using something RemoteViews which have fairly circumscribed functionality. When a key is pressed, released or repeated the listening object is notified with the key code and modifiers. In each case passing null as the listener argument will result in the current KeyListener, if any, being removed. and they will continue to be called. A TextEditor is a UI element which can be used in conjunction with a Canvas, CustomItem, or IdleItem to display and obtain text input from the user. A TextEditor is the Canvas/CustomItem equivalent of a TextField and supports the same input constraints and modes as a TextField. A TextEditor can only be associated with a single Canvas or CustomItem, but a Canvas or CustomItem may have multiple TextEditors associated with it. The implementation is only responsible for the visual representation of the cursor and text. 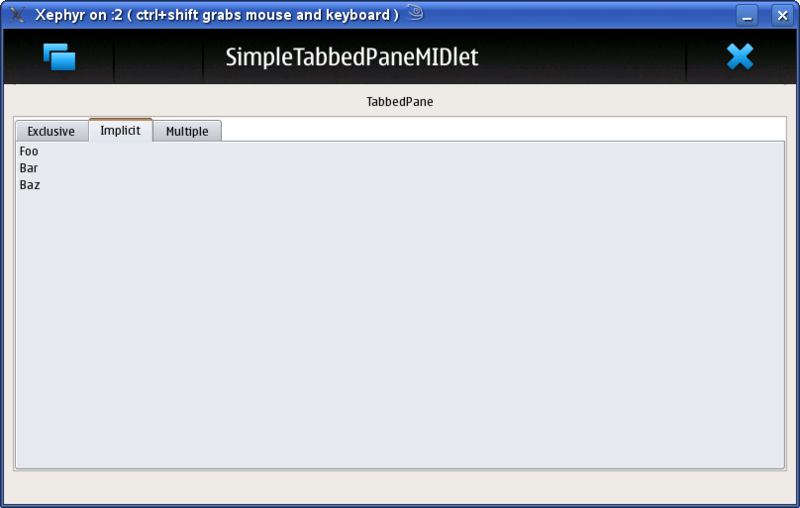 All other visual aspects of a TextEditor, for example, scroll bars if required, are the responsibility of the MIDlet. 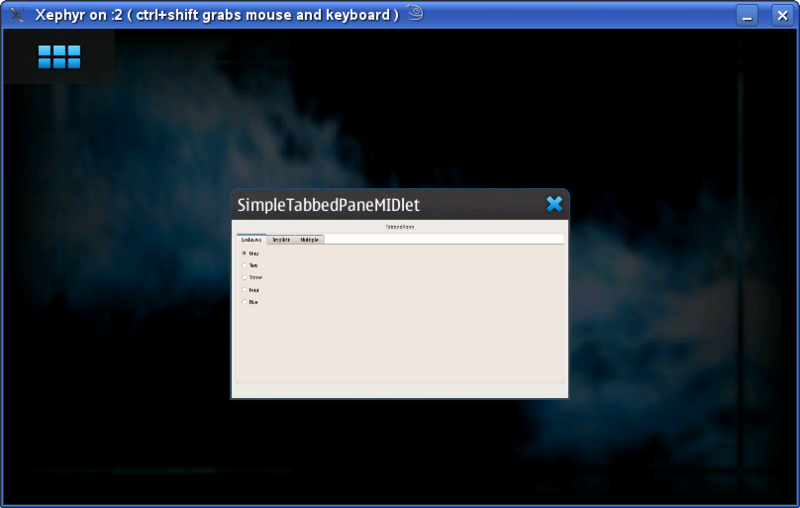 The TextEditorChangeListener enables an object to listen for the TextEditor events. A Text object is a mutable text container with the ability to layout it’s contents. In addition to the text it contains, it has the following attributes, all of which can be set by a MIDlet as required. The colour and Font used to render text can also be set on a section by section basis if required. 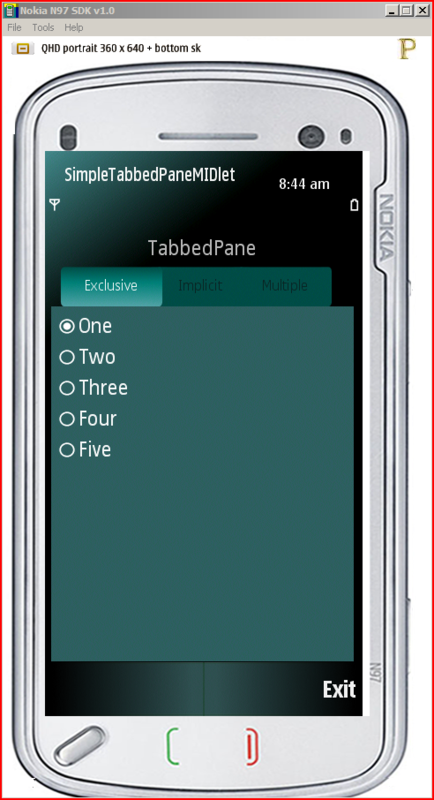 The contents of a Text object can be rendered to a Graphics object which means that it can be used in conjunction with a Canvas, CustomItem, IdleItem or mutable Image.